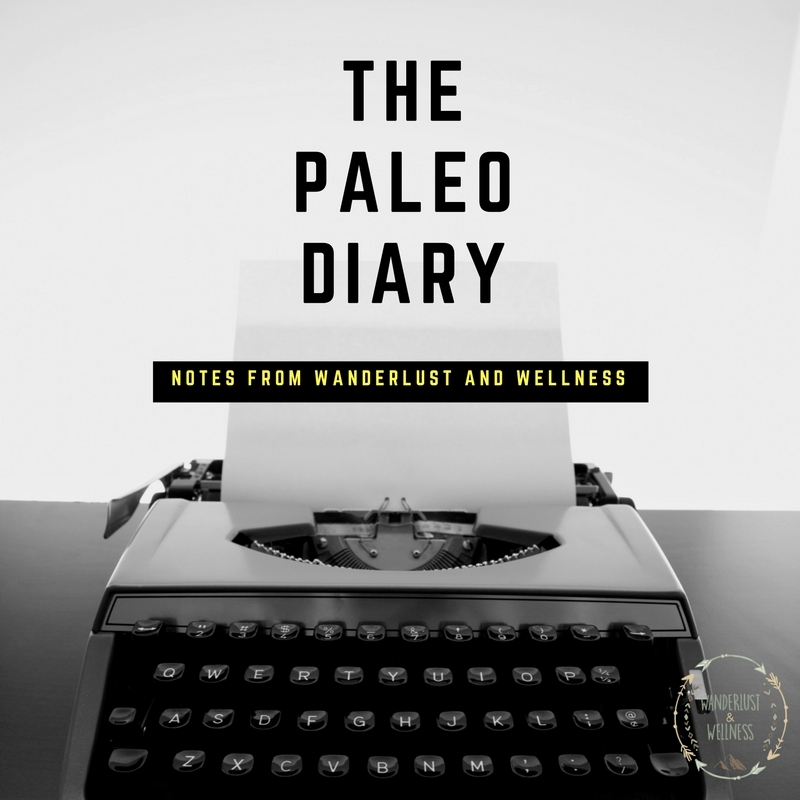 Every week I plan on bringing you notes from the Paleo Diary, which really means my own personal account and experience with living the Paleo/Primal lifestyle. I started transitioning to eating the Paleo/Primal way about 3 years ago but didn’t truly dial in my nutrition consistently until about 6 months ago. Notice the key word: CONSISTENTLY. Because up until about 6 months ago I kept allowing inflammatory foods into my diet that made me feel like absolute crud. Since dialing in my nutrition I’ve lost 30 pounds, but weight loss is not my focus day in and day out. 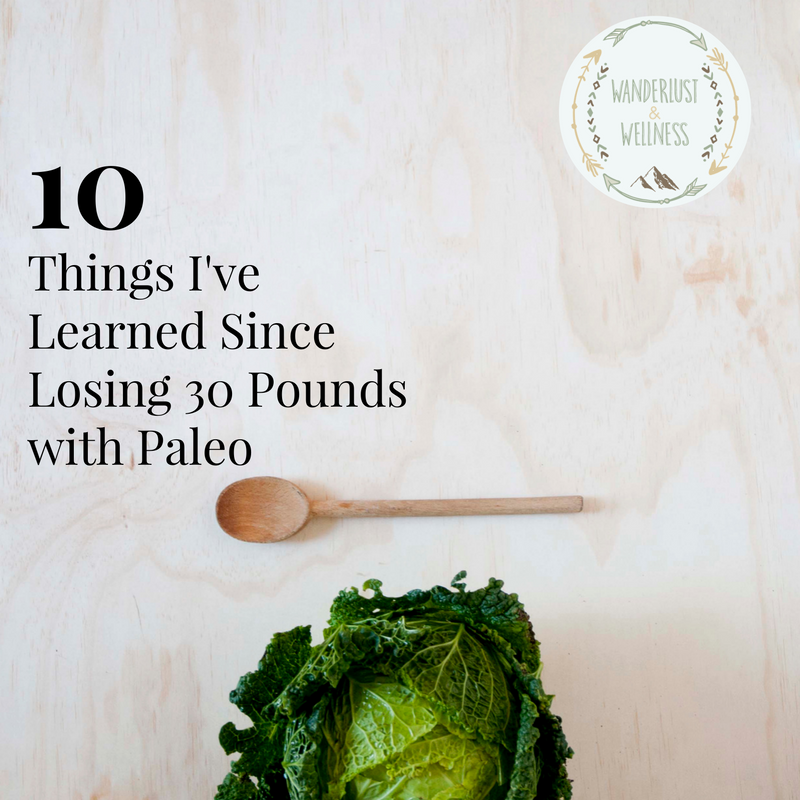 Below are 10 things I’ve learned since losing 30 pounds with Paleo. **Disclaimer: The information in this post is solely my personal opinion. What I mean by this is diets may work temporarily, but they’re not long-term solutions. Throw out the ‘diet’ mindset and focus on health and nutrition. Once I did this my relationship with food, nutrition, and overall wellness changed. Being more mindful about the food choices I make has been a game changer for me. Do I still choose a less favorable option at times, of course. It’s all about balance (but we’ll talk about that in #10), but food is no longer the enemy. I don’t look at donuts and think, “Can’t eat that, too many calories, too much fat, those will make be gain weight, etc.” I’ve REALLY had to work on my mental relationship with food and how it’s also tied to my mental body image issues. Instead, I look at a donut and think, “If there’s a gluten-free option I’m totally devouring that (but not daily)”. You also cannot become so dogmatic about your food choices that you stress yourself out if you can’t find a gluten-free, non-GMO, grass-fed, non-hormone option. Don’t go so far down the rabbit hole that you create a negative relationship with food. I think I rambled through this one, but my point is food is not the enemy. Changing how you view food (shifting from weight gain vs. weight loss to good fuel for my body vs. inflammatory to my systems) will make healthy choices easy and help lessen the negative relationship some of us have with food. This is where I struggle but I know it’s an important piece of the health puzzle which is why I’m focusing on movement moving forward. The Primal Blueprint, which I previously mentioned, stresses the important of being active. It’s a scientific fact that living a sedentary lifestyle is damaging to our bodies. However, I know many of us are stuck in 8-10 hour office jobs where we literally sit all day long. It’s actually horrible for our bodies and overall health. It’s also a scientific fact that exercise does amazing things to our bodies and systems. I’m making a solemn vow to add some form of activity to my day, every day of the week. Anybody with me? Anybody else a taste eater? And by that I mean you literally eat for taste? This is me, I love the flavor of food, I fully admit that. So do you think for one second I gave up good flavor when I removed inflammatory foods from my diet? Heck no! You won’t see me living off of brown rice, broccoli, and grilled chicken day in and day out. I want flavor, all of the flavor, and I can still have it even when removing wheat, gluten, dairy, and other inflammatory foods from my diet. This was an excuse I used for years, “I can’t afford to eat healthy”. Then I changed my nutrition and realized and spent the exact same amount of money at the store that I did before. Funny how that works. Yes, if you go down the rabbit hole of buying up gluten-free snacks and other pre-packaged items, it can be a little pricey. But you can eat fresh, nutritious foods and not break the bank. This is the approach I took, because it’s directly connected to #5 above. I took our favorite recipes and swapped out ingredients to create healthier versions. I didn’t have to start from scratch. I didn’t have to buy every. single. healthy. food in the store. I simply took what I would normally fix and made it healthy. Some recipes can be a little bit of a challenge, but overall you can make any recipe healthier. For example, I swap out any pasta with spaghetti squash or other vegetables and the kids still eat it! I swap out milk and creams for canned coconut milk. I swap out bleached white flour for gluten-free, less inflammatory options. The possibilities are endless. If you’re still focusing solely on calories in vs. calories out you may want to reevaluate. Not all calories are equal. Focus on the nutritional value of the food (fresh, wholesome food vs. low-fat foods full of chemicals) and mindful eating (listening to your body). I honestly haven’t counted a calorie or macro or micro….ever…since changing my eating habits. This rings true with whatever nutrition approach you follow. Remember when I said above don’t be so dogmatic about your ideals that you’re blinding yourself to how your body FEELS when you eat certain foods. Pay attention to foods that may cause bloating, acid reflux, indigestion, gastrointestinal issues, etc. For example, dairy is allowed with Primal eating but it sometimes upsets my stomach so I avoid it most of the time. Red meat doesn’t sit well with my gastro track so I limit my consumption. People think I’m a food snob but really I’m just listening to my body. It’s not that I don’t like gluten filled breads and pastas, I don’t like how they make me feel after eating them. I wish more people would listen to their bodies and pay attention to what it’s trying to tell them. Having fluctuating bowels, excessive gas, joint pain, acid reflux, bloating, fatigue, or brain fog are all symptoms that can be directly related to poor diet AND healed with proper nutrition. For years, and I MEAN YEARS I walked around with what I call brain fog and dizziness. Dr. visit after Dr. visit, this test, that test, try this medicine and nobody could figure it out. I would blame it on the weather but in reality it was GLUTEN the entire time. Once I removed gluten it all went away. If I strictly remove gluten I don’t have dizzy/vertigo spells or the brain fog where I literally cannot focus. Education is powerful guys, take some time to listen to your body and read about how food affects our bodies. I say this because it again goes back to #5 and #9. Don’t beat yourself up because you ate some french fries or you ate a donut. Life is about balance. Be kind to yourself, allow some flexibility and if you’re truly listening to your body and being mindful of what you’re eating and how it makes you feel then balance will come easy. If I eat something that doesn’t align with Paleo it’s not the end of the world. But you can be sure that if what I ate causes a flare up in my system(s) I’m going to avoid it next time. Then it’s not about deprivation, it’s about feeling good.